YOUR BACK TO SCHOOL HEADQUARTERS! 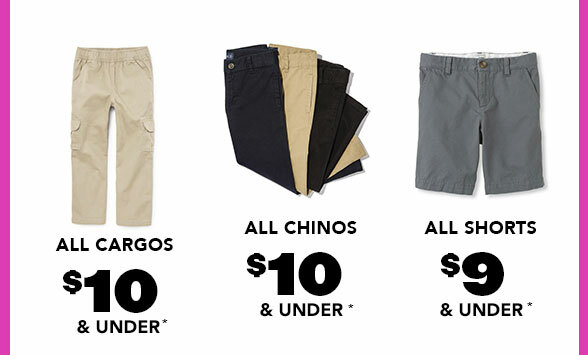 $7 POLOS + $10 UNIFORM BOTTOMS! 👒 MAKE SURE THEY ARE EASTER READY! 30% TO 60% OFF ENTIRE STORE! Free shipping will automatically be applied to all orders; no web code needed. Offer is good for free standard shipping or priority shipping if shipping to a street address or a P.O. Box address in the contiguous U.S. or a PO Box (but not a street address) in the following areas: U.S. Territories, Military addresses/APOs, AK, HI, PR and some rural areas. Not valid on any express or rush shipping service. Not valid on orders shipped to an address in Canada, or on previously purchased merchandise. Offer may be cancelled or modified at any time. *Select styles. Merchandise selection, prices and promotions may vary online and by store location. Cannot be combined with any other offer. 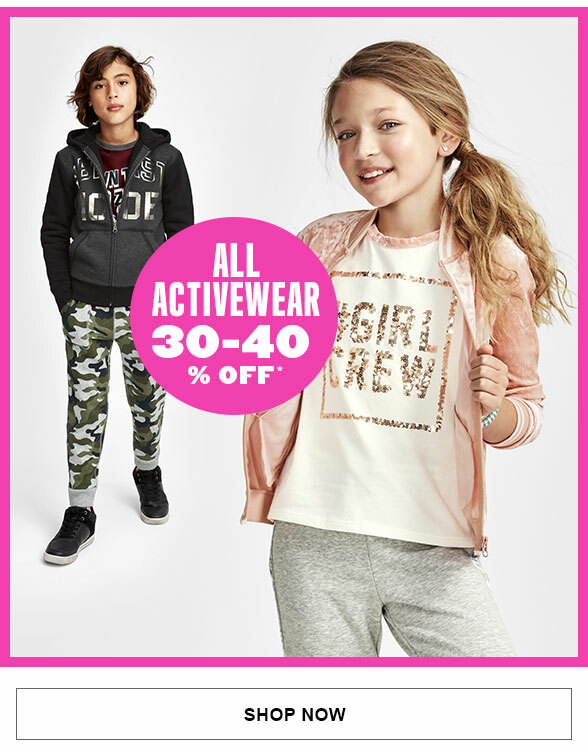 Must have a valid email address on file or be registered online at childrensplace.com/rewards in order to receive and redeem points for reward certificates. 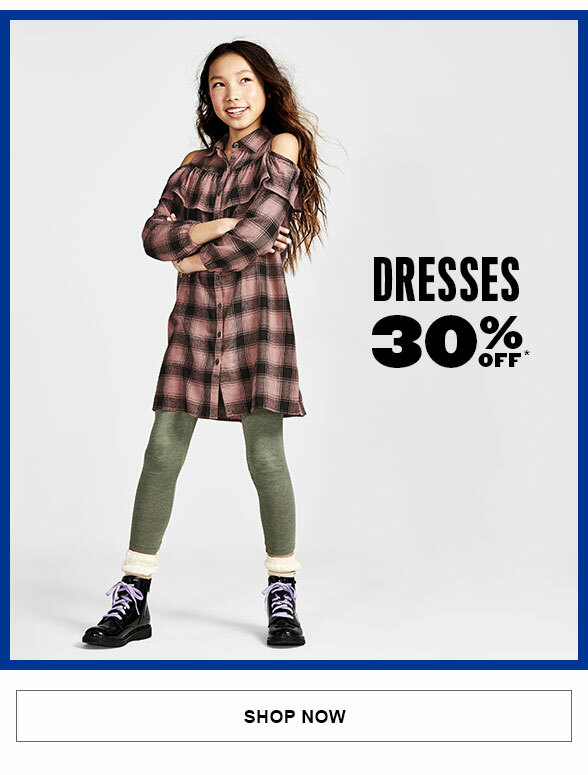 For eligible purchases at The Children's Place store in the U.S. and Puerto Rico and at childrensplace.com, My Place Rewards members earn 1 point per US dollar spent, rounded to the nearest dollar, and My Place Rewards Credit Cardholders earn 2 points per US dollar spent, rounded to the nearest dollar. My Place Rewards members receive a $5 reward certificate for every 100 points. 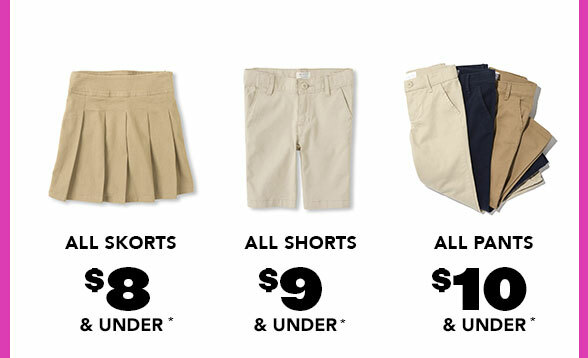 The My Place Rewards Program is provided by The Children's Place, Inc. and its terms may change at any time. 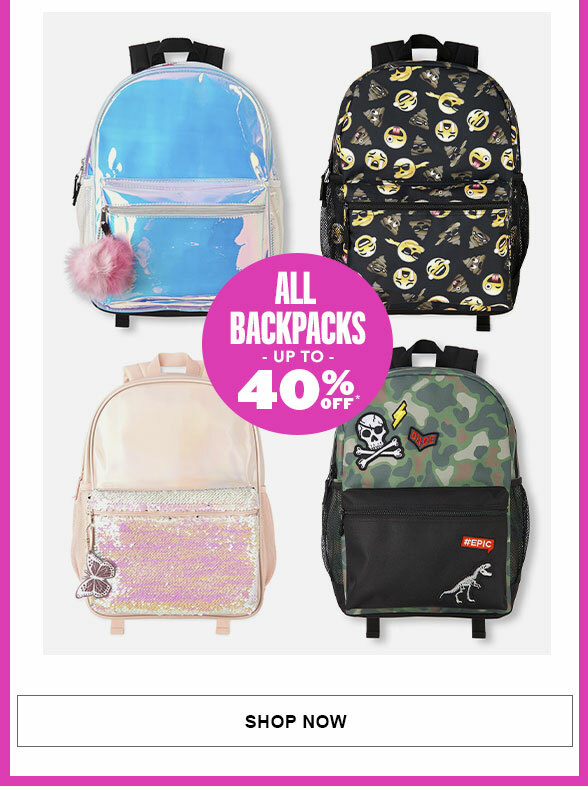 For full Rewards Terms and Conditions, please visit childrensplace.com/rewards-terms. Valid on a single transaction of an in-store or online gift card purchase of $40 or more. Customer will receive a $10 gift coupon on a next purchase of $40 or more. Valid on standard shipping in the contiguous U.S. when using your My Place Rewards Credit Card. Free shipping will automatically be applied to all orders; no web code needed. Offer is good for free standard shipping or priority shipping if shipping to a street address or a PO Box address in the contiguous U.S. or a PO Box (but not a street address) in the following areas: U.S. Territories, Military addresses/APOs, AK, HI, PR and some rural areas. Not valid on any express or rush shipping service. Not valid on orders shipped to an address in Canada, or on previously purchased merchandise. Shipping delivery refers to orders being shipped to a street address in the contiguous U.S. and does not include AK, HI, PR, U.S. Territories, military addresses, PO boxes, and some rural areas. From July 17, 2018 September 10, 2018 for every merchandise transaction of $20 or more at participating U.S. or Puerto Rico The Children's Place store locations or online at childrensplace.com and every gift card purchase of $20 or more at participating U.S. or Puerto Rico The Children's Place store locations, you will receive $10 PLACE cash to use toward your next purchase of $20 or more at any U.S. or Puerto Rico The Children's Place store location or online at childrensplace.com from September 11, 2018 September 24, 2018 (redemption period). 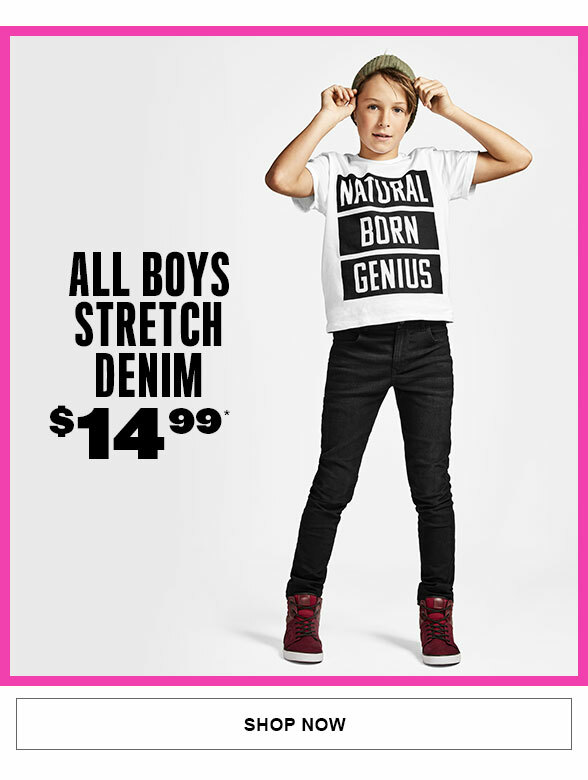 Not valid in Canada stores or online at childrensplace.com when shipping to Canada. 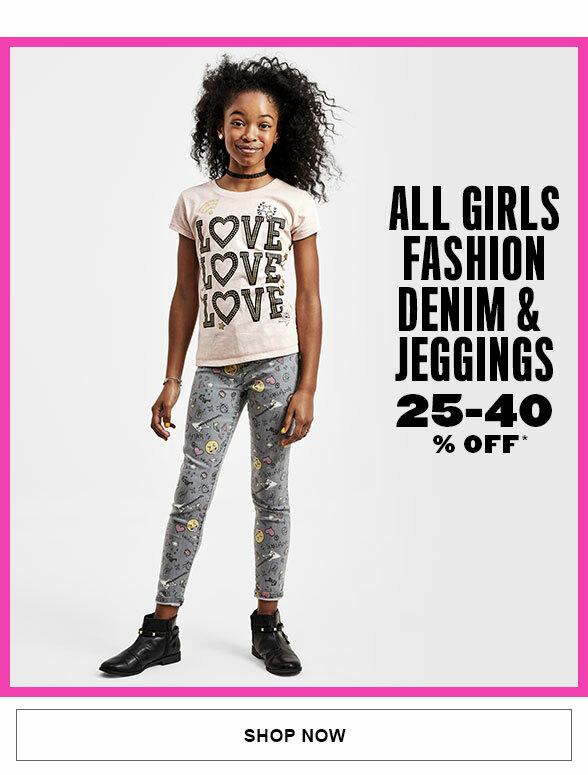 Gift card purchases online at childrensplace.com will NOT earn PLACE cash. There is no limit to the number of PLACE cash coupons you can earn. To qualify for issuance of PLACE cash, purchase must exceed $20 before tax and shipping fees, and after other discounts or promotions. Qualifying purchase must be made in one transaction. Transactions may not be combined to meet $20 threshold. If you elect to return any items from a transaction that qualified for PLACE cash, the transaction total will be re-evaluated and PLACE cash will be adjusted. Lost, stolen, expired or destroyed PLACE cash will not be replaced. Employees of The Children's Place do not qualify for issuance or redemption of PLACE cash. PLACE cash must be redeemed during the redemption period only and purchase must exceed $20 before tax and shipping fees, and after other discounts or promotions. PLACE cash cannot be redeemed on bulk purchases. There is no limit to how many coupons you may redeem, but in a single transaction you may only redeem up to six coupons. Your PLACE cash will be applied as a percentage discount on each item in your transaction, but will appear as a dollar amount applied. Not valid toward the purchase of gift cards, previously purchased merchandise, or credit card payments. Transactions involving PLACE cash are not eligible for price adjustments. PLACE cash may not be redeemed for cash or merchandise credit. No adjustments will be made to prior sales. You will receive the price paid (after the discount) on all returned or exchanged merchandise. The value of your PLACE cash will not be returned if you make a return or exchange. Any violation of the above will result in deactivation of the affected PLACE cash. Please take a moment to add TheChildrensPlace@em.childrensplace.com to your address book. This email was sent to because you requested to receive marketing messages from The Children's Place. You can withdraw your consent at any time. To update your email preferences or to unsubscribe, click here. 2018 The Children's Place, Inc. All rights reserved. For customer service, please visit our contact us page or call us at 1-877-752-2387. 50% TO 60% OFF ENTIRE SITE + FINAL DAYS FOR DOUBLE PLACE CA$H + FREE SHIPPING! EXTENDED 4 U! 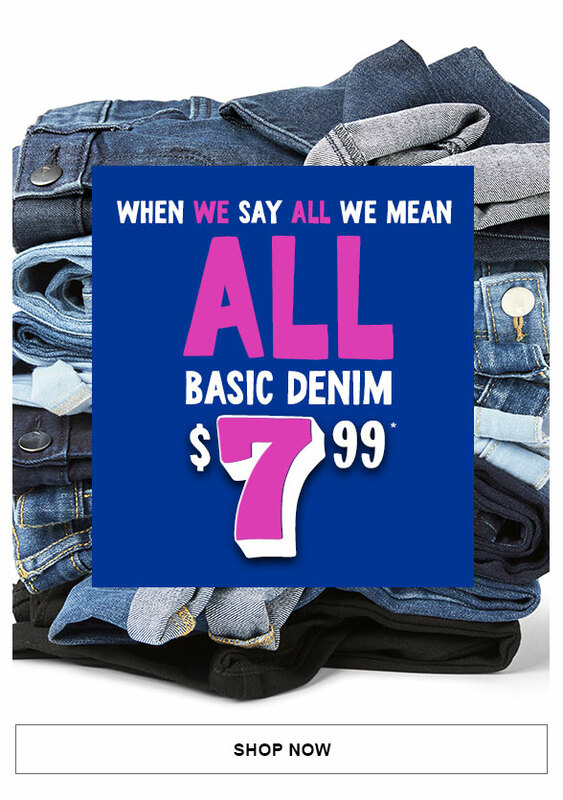 75%-80% OFF ALL CLEARANCE - NO EXCLUSIONS!